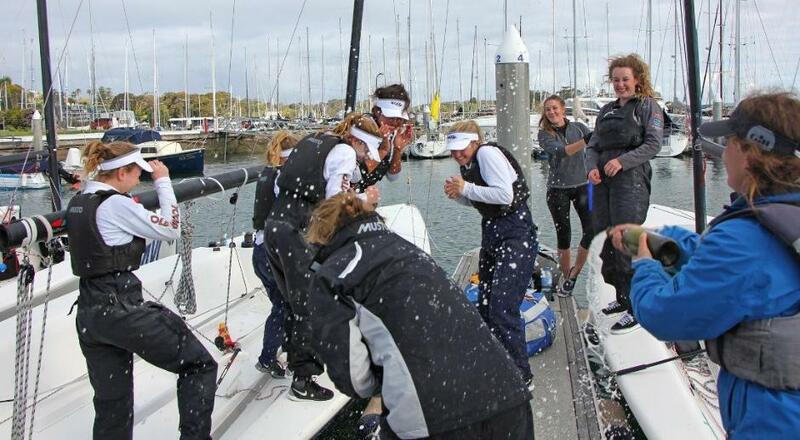 After two years of finishing runners-up, the best of five final on the deciding day of the Australian Women’s Match Racing Championship 2015 went to Milly Bennett and her Royal Prince Alfred Yacht Club crew. Bennett’s team lined up for the sudden death final flight with Clare Costanzo (RPAYC), the two teams dead even on two flights apiece after Costanzo pushed her RPAYC club mates to a tie-break. The pair were both exceptionally strong in the pre-start but Team Bennett’s tidy downwind manoeuvres gave them a proper sniff at the championship title and they easily crossed the finish line out in front. Boat horns sounded long and loud and the diehard spectators who had braved the cool spring day cheered from the sidelines. The situation was decidedly untidy for the eventual champions at the beginning of the second flight. In the pre-start jostle with Costanzo the keel bulb of Bennett’s Elliott 7 wrapped around the start boat’s anchor chain and held them fast. Costanzo sailed off leaving her opponent trapped for a minute or so and won that flight, then the fourth. 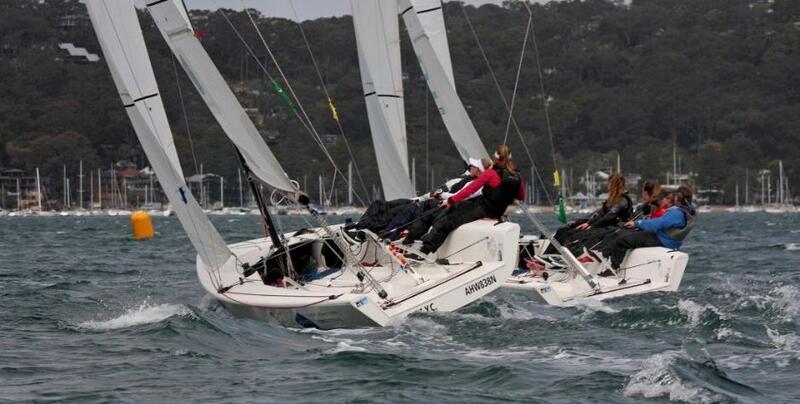 Winter’s last hurrah in Sydney meant another day of fresh, cold southerly winds for the petite final and final staged on Pittwater on a windward/leeward track between Long Nose Point and Scotland Island. Other than a light patch on day two and this morning the low pressure system guiding strong southerly winds onto the NSW coast kept the tension on all eight teams from Sydney, Perth and New Zealand. Light and flukey sou’westers made the final morning a busy one for Principal Race Officer Denis Thompson and his race committee who were forced to set up three different courses to accommodate the significant shifts. The breeze finally settled and built to 18 knots out of the SE for the afternoon finals, on Sunday September 27, 2015. Bennett and her regular crew of Alice Tarnawski, Chelsea Connor, Jessica Russell and Seldon Coventry are a cohesive and long-term team who train three times a week on Pittwater. 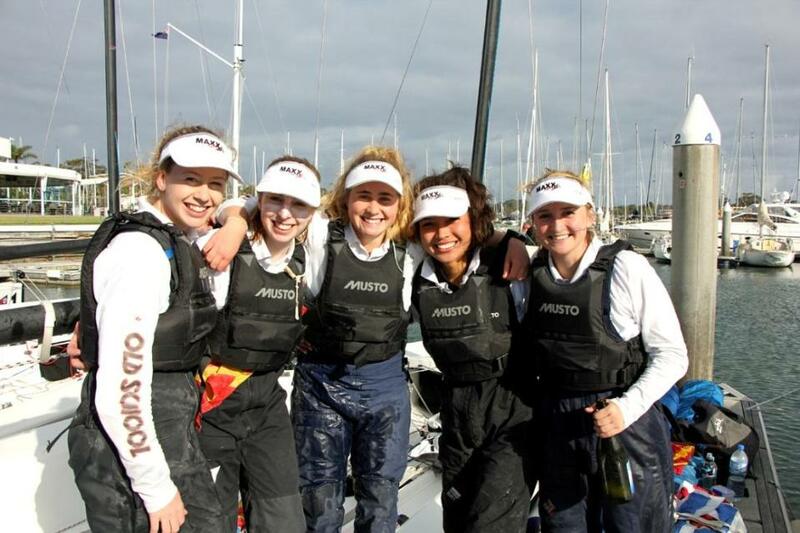 Due credit was paid to Costanzo, Lauren Crossman, Ruby Scholten, Sophie Shannon and Emma May who came together for the first time as a crew last Friday for the ISAF Grade 3 title that was originally founded in 1997 by the Royal Perth Yacht Club and Yachting Western Australia. “The teams are all talented sailors in their chosen classes and to mesh so well at a national title and finish second overall shows great teamwork and adaptability”, said regatta organiser Katie Pellew, also regarded a skilled match racer and last year’s winner. 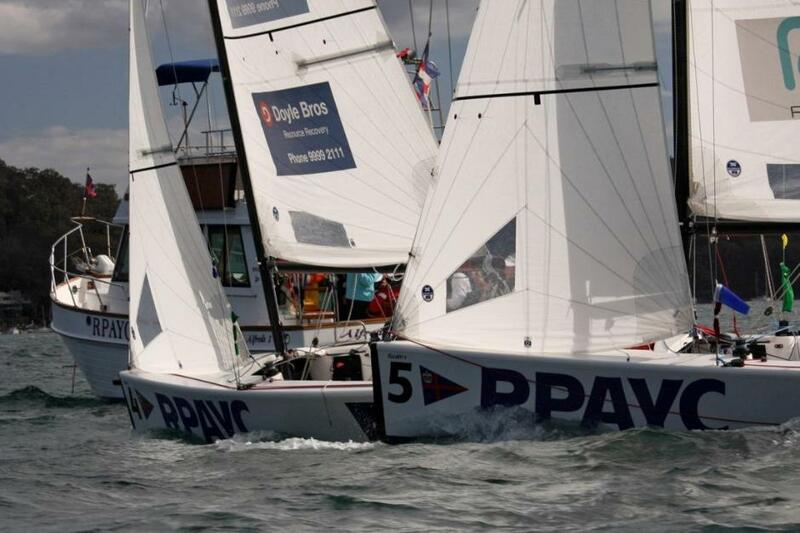 Demonstrating once again the strength of its Youth Development program a third RPAYC team, skippered by Sarah Parker, finished ahead of the Cruising Yacht Club’s team led by Lauren Gallaway. At this evening’s trophy presentation for the annual regatta the RPAYC’s club commodore Ian Audsley thanked championship supporters Harken Australia and Lejen Marine and the PRO and Chief Umpire David Tallis and their teams. Images and videos at the event Facebook page.